Have you been holding out for a skincare hero? A product that, unbelievably, actually does what it says on the packaging? A product that goes beyond your expectations, delivering unparalleled skincare that complements all of the other products you have? Well, you’ve found it with the Azul Intensive Renewal Serum, a product that’s so much of a skincare hero that it should come with a cape! The skincare geniuses at Trilogy Laboratories have been working with us for years to create skincare products that meet Dr. Flaharty’s incredibly high standards. Owned by Dr. Kristen Flaharty, our own Dr. Flaharty’s wife, Trilogy Laboratories is at the forefront of technologically advanced skincare, using the latest cosmetic advancements to craft outstanding skincare products. And boy, have they outdone themselves this time, because the Azul Intensive Renewal Serum is one powerful skincare product! There have been many breakthroughs over the last few years that have revolutionized the skincare industry, and Trilogy was right at the forefront of all of them. Now, Azul SkinHealth and Trilogy are embracing something new. This product is a combination of five synthesized growth factors, molecularly identical to the growth factors found in our bodies. Together, these growth factors increase elasticity and firmness, reduce wrinkles, regenerate skin cells, and provide nutrition to the skin. The first is Epidermal Growth Factor, or EGF. This helps promote the regeneration of skin cells, healing your skin. The second is Insulin Growth Factor, or IGF-1. This helps to minimize wrinkles, both those that already exist and those that might form in the future. The third is Acidic Fibroblast Growth Factor, or AFGF, that helps firm the skin to keep you looking youthful. The fourth is Basic Fibroblast Growth Factor, or BFGF, that increases your skin’s elasticity. Finally, Vaso-Endothelial Growth Factor, or VEGF, helps nourish the skin, giving it the nutrients that it needs to remain healthy. When all of these Growth Factors are combined, the effect is that you end up with one of the most powerful skincare products on the market today, helping to boost collagen growth, improve regeneration, help with circulation, and reinforce capillaries under the skin. Although these growth factors by themselves can deliver these fantastic skincare results, we realized that we could even do it one better! So the Intensive Renewal Serum uses a hyaluronic acid base to deliver incredible hydration as well. 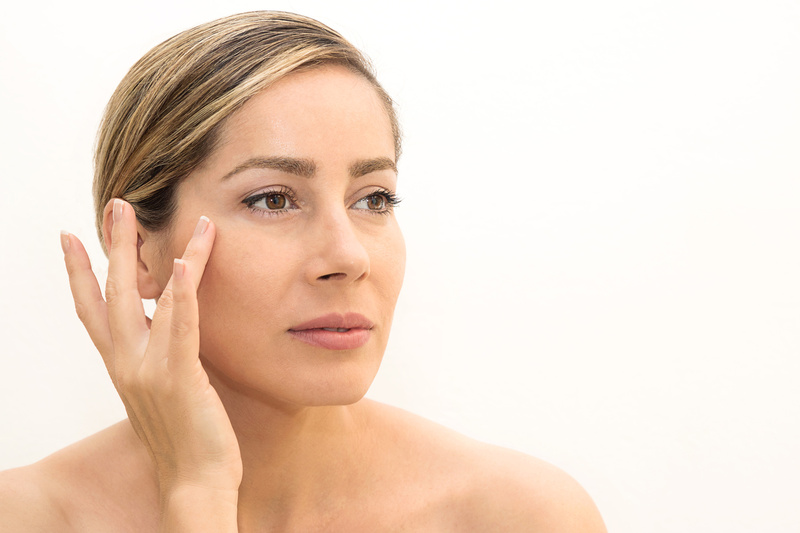 Hyaluronic acid has been a cornerstone of the skincare industry for years, and for good reason. It’s naturally produced by our bodies to help maintain moisture levels in the skin, but, just like with collagen and elastin, we produce less and less of it as we age. By using it in skincare products, like Azul Intensive Renewal Serum, we can make sure that your skin is hanging onto the moisture that keeps it healthy and hydrated. This results in a more radiant, plump appearance that usually comes with youth. But it also comes with the Azul Intensive Renewal Serum! We know that many of the people who buy our Azul SkinHealth products have already built effective skincare regimens that they may not want to alter just because we have a new, “hero” product on the scene. No worries, because Azul Intensive Renewal Serum plays very well with other skincare products! Its effects will simply supercharge your skincare results! You can learn more about the Azul Intensive Renewal Serum, along with many of our other skincare products, from Azul SkinHealth. If you’d like to really enhance your skincare results, we recommend that you make an appointment at our Medical Spa where we can offer you a number of technologically advanced skincare treatments. And don’t forget all of our surgical and non-surgical cosmetic procedures! To book an appointment or a free consultation, just give us a call at (239) 747-1148, or visit our website at www.azulbeauty.com.